We had to share this recent feature in Engaged Rhode Island Magazine! 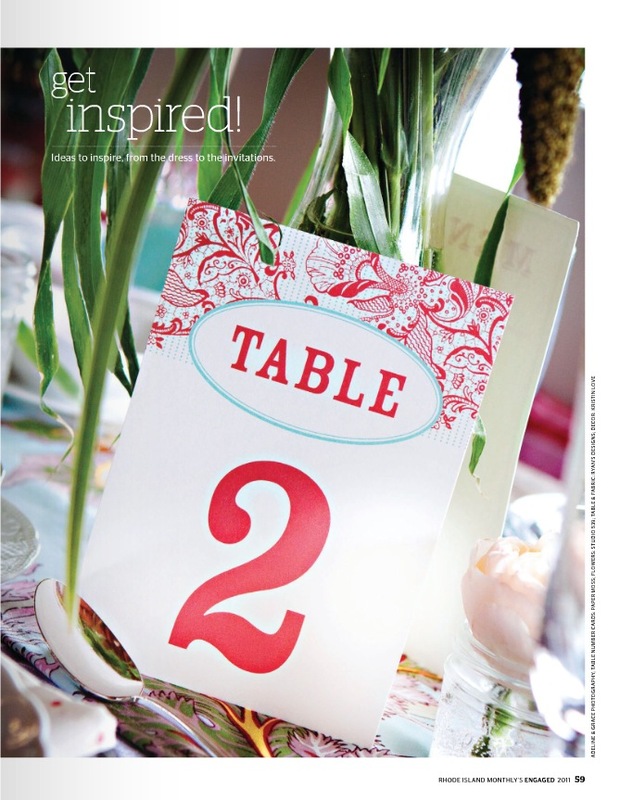 What a fun shout out and a fabulous way to inspire brides and event-lovers alike. Thank heavens that the minds behind this publication see the value in having stellar save - the - dates and invitation suites. 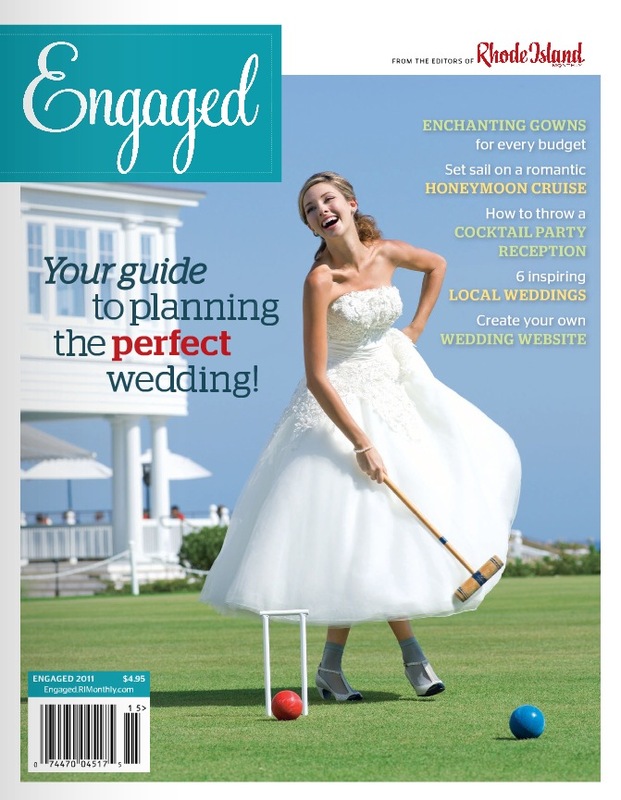 :) Take a peek at some of their top picks... And for more ideas to help plan the perfect wedding, check out Engaged RI Magazine online. 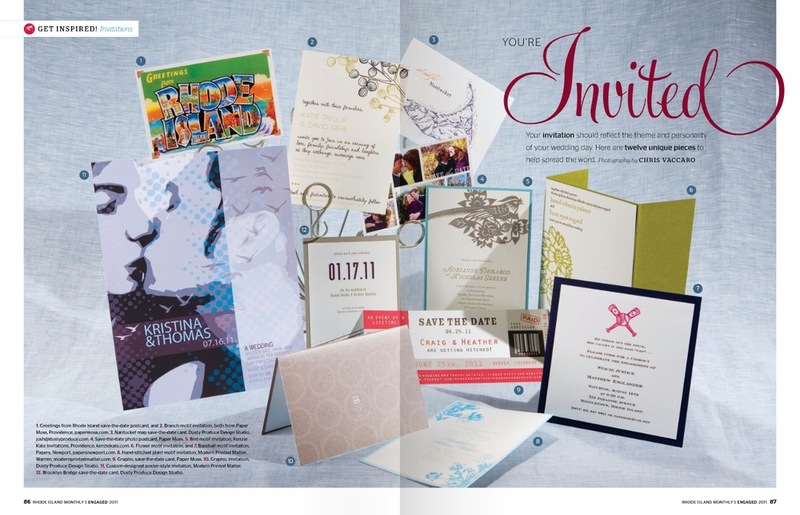 *Photos courtesy of Engaged RI Magazine, Paper Moss invites as featured above in numbers 1, 2, 4 & 9.